How to Clear Call Log in Android KitKat 4.4.2 Phone? As the phone call log become bulky with each incoming or out going call record, a time comes when you feel to get the call log cleared. It is a simple feature, included in the Android KitKat 4.4.2. But remember to study the call log, very carefully, before clearing the call log as it will delete total record from your phone and for always. Command Line: Phone Dialer > History > STATISTICS > Settings button > Clear call log. 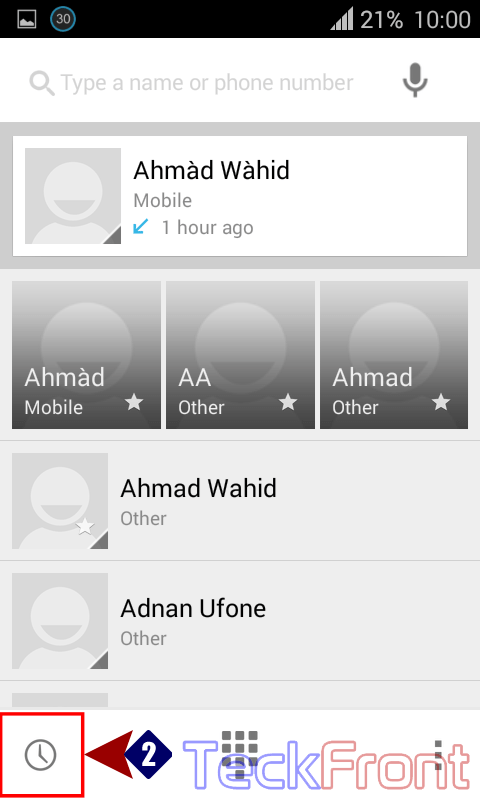 1: Tap ‘Phone Dialer’ to open up the phone dialer screen of you Android KitKat 4.4.2. 2: Tap ‘History’, available at the bottom left corner of your phone. 3: Tap STATISTICS to open up all the call log of your phone. 4: Tap the ‘Settings’ button, available at the top right corner of ‘History’ screen of your Android phone. It will open up a drop-down menu. 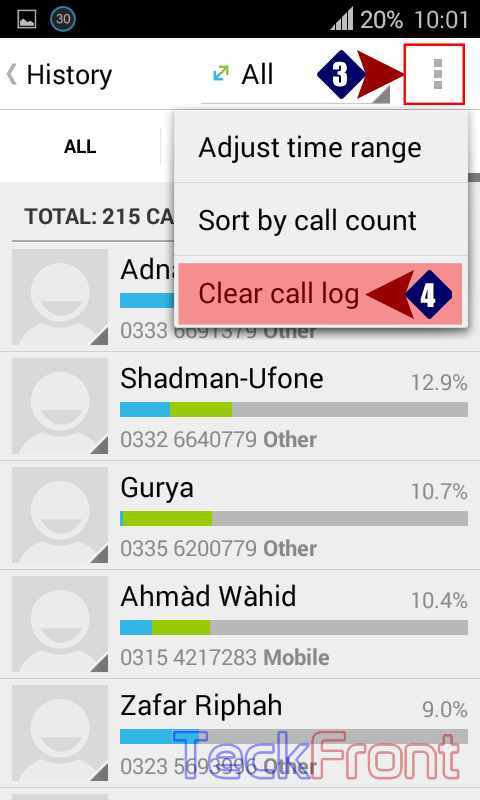 5: In the drop-down menu, tap the ‘Clear call log’. It will open up a prompt, warning you that all your call record will be deleted. 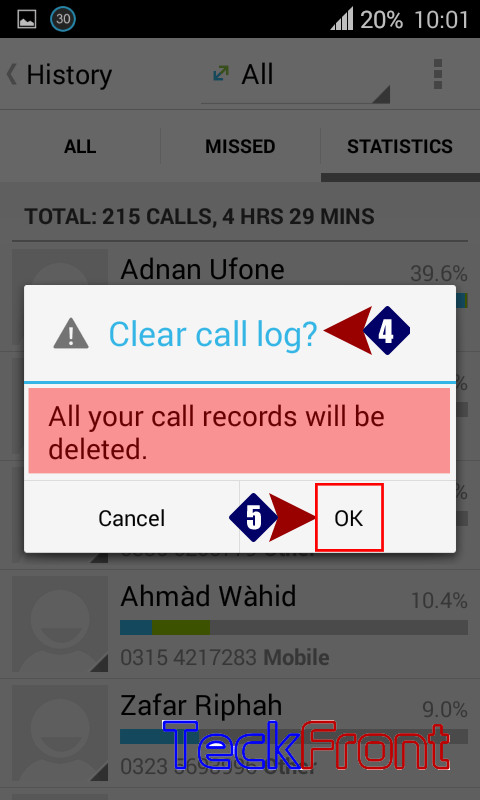 6: If you agree with it, tap ‘OK’ to clear the call log (record). But be assured that you will delete all record from your phone. That’s all! 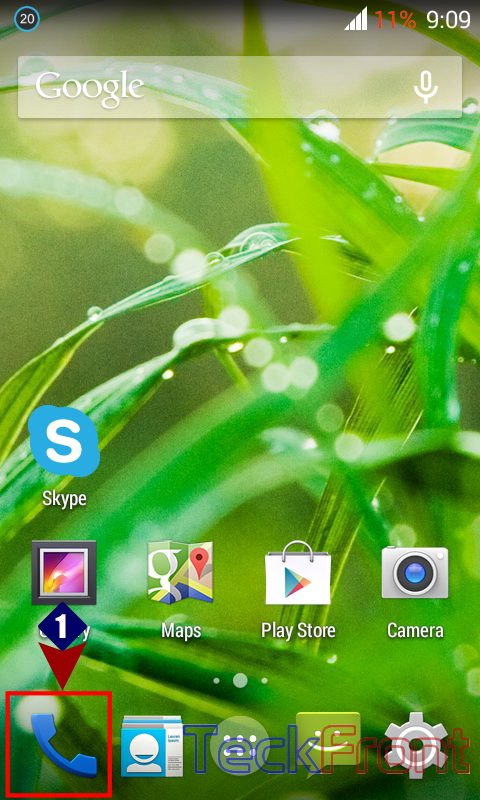 Newer How to See Call Details for Individual Numbers in Android KitKat 4.4.2? Older How to Set Call Forwarding When Unreachabele in Android KitKat 4.4.3 Phone?